Amanda is a Lecturer in the School of Nursing, Midwifery & Health Systems and Subject Head of Older Persons’ Nursing. From 2002-2010, she co-ordinated the Graduate Diploma in Nursing (Public Health). She is currently programme co-ordinator for Older Person’s Care programmes. Amanda’s PhD was completed in 2010 and employed a discourse analysis framework to examine community nurses’ practice in elder abuse. In 2010, Amanda won a Royal Irish Academy mobility scholarship to travel to the United States and Canada to examine elder abuse screening tools. Amanda is also the Co-Director of the National Centre for the Protection of Older People at UCD and undertaken a number of research projects on the topic of elder abuse. Amanda holds the position of national representative for the International Network for the Prevention of Elder Abuse and acts as Secretary of the All Ireland Gerontological Nurses’ Association. Amanda has facilitated elder abuse healthcare training, has published in the area of elder abuse and been used as an expert on this topic in the media. 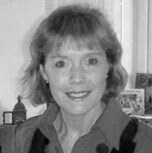 Amanda is an editorial board member on the International Journal of Older People Nursing and a journal reviewer for international publications. Amanda also serves on the international research advisory committee for the National Initiative for Care of the Elderly (NICE), University of Toronto, Canada. Amanda’s edited book International Perspectives on Elder Abuse (Routledge) was published in March, 2013. 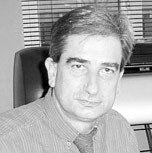 A native of Dundalk, Rodd graduated with distinction from the school of architecture at Brookes College, Oxford in 1982, where his major study, focused on computer-assisted design and evaluation frameworks applied to primary care facilities in the UK. An important formative project in his early career was the master-planning of the Shifa International Hospital in Islamabad, while with CRI based in Princeton, New Jersey. As an architect and researcher committed to inquiry by design, Rodd has a unique blend of experience promoting innovation energised by the attractive power of a positive and inclusive future. Rodd’s creative approach seeks to fuse sustainable and inclusive neighbourhood design, models of community caring centred on citizenship and personhood, and ‘context aware technologies’ in a manner that together can enhance and enrich the health and well-being of people of all ages, and those who care for them. Rodd’s action research agenda has culminated in the formation of the Netwell Centre, in the School of Health and Science at DkIT, which he now directs. Netwell is a collaborative venture between DkIT, the HSE (Dublin North East) and Louth County Council, and is part funded through a grant from the Atlantic Philanthropies. In partnerships including the WHO and AGE-Platform in Europe, Rodd has influenced the growth of the Age-Friendly County initiative in Ireland and Europe, and is fostering cultural transformation in Irish long term care through the ‘places to flourish’ resource. Rodd works as a catalyst for innovation and change, and continues to work with teams to un-fold new ways to make a difference in the quality of peoples’ lives. 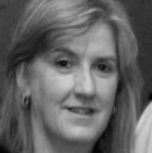 Margot qualified from Trinity College Dublin in 1987 with a BSc (Hons) in Human Nutrition and a Dip in Dietetics. Margot went on to focus on clinical work in the Older Persons residential care setting and Persons with Intellectual Disabilities where she provides nutritional consultancy services for a range of clients such as HSE, Daughters of Charity and private Nursing Homes throughout Ireland. 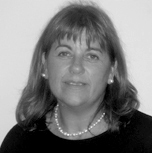 Margot has been responsible for introducing improvements for her clients such as Nutritional Screening Assessment Tools, alignment of Catering Policies with Nutritional requirements, developing Person Centred Care plans and ensuring that her clients are meeting requirements laid out by HIQA to ensure registration. Margot has also acted as PRO for the INDI from 2002-2012 where she raised the profile of Dietetics’ in Ireland by regularly contributing to TV3 Ireland AM, RTE Radio I and 2 show as well as giving professional opinions for News and Public Affairs and Lifestyle programmes. She also represented the profession on national policy development in Ireland in areas such as reviewing the Healthy Eating Guidelines, Folic Acid Fortification and the Intersect oral group on obesity. Susan has a nursing and midwifery career of 33 years. This has encompassed acute and community areas, primary, secondary and tertiary care settings. Susan also teaches on the Mary Seacole Programme (professional leadership programme) for the NHS. She was awarded the Nurses medal and Midwife of the year. Susan’s PhD studies are on Grandfathers in Ireland and are capturing their view in a snapshot of time. 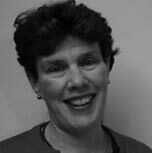 Susan has been described as a ‘Hybrid’ of nursing and midwifery with her extensive practice and academic experience. Following her career as an occupational therapist, Marie Lynch worked as Regional Director for 7 years with the Irish Wheelchair Association where she also obtained her MSc. In 2007, Marie commenced employment with the Irish Hospice Foundation and in 2014 was made Head of Healthcare Programmes. Her work has focused on initiating programmes to support the development of palliative care for people with all life limiting diseases in all care settings. As well as having oversight with the IHF Residential Care Programme Journey of Change involving 100 residential care settings across Ireland, Marie has led out on the Palliative Care for All (non-cancer) Programme, the Hospice friendly Hospital programme, and the National Primary Palliative Care Programme. 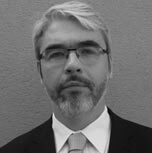 Justin Moran is Head of Advocacy and Communications with Age Action, which is a national organisation representing older people and a leading advocacy voice on ageing issues. Its vision is to make Ireland the best country in the world in which to grow old. Prior to this he worked as a senior public affairs specialist for EirGrid, the State’s electricity transmission system operator, and as head of communications with Amnesty International, Ireland’s largest human rights organisation. He is a graduate of Dublin City University, possessing a BA in Journalism and an MA in International Relations.